There was worldwide outrage when the news headline ‘Hundreds of Victorian koalas killed off in secret cull‘ hit the press on 4 March 2015. The koala is a much-loved, iconic species, and listed as ‘vulnerable’ under Australian legislation in the eastern states of Australia, so how could a government sanction such a drastic action? Unfortunately, it was the only answer to addressing a significant animal welfare issue. The koalas that were ‘killed’ were starving and in irreversibly poor condition as a result of their high numbers depleting their own food source. Without intervention, these koalas would have died anyway but their suffering would have been much greater. 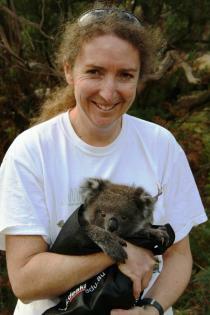 Dr Desley Whisson has been conducting research (funded by the Earthwatch Institute) on Cape Otway koalas since 2008, witnessed the population crash and provided expert advice to the Dept. Environment, Land, Water and Planning (DEWLP). Read the facts about the issue at the Otway Koalas Blog and in The Conversation.